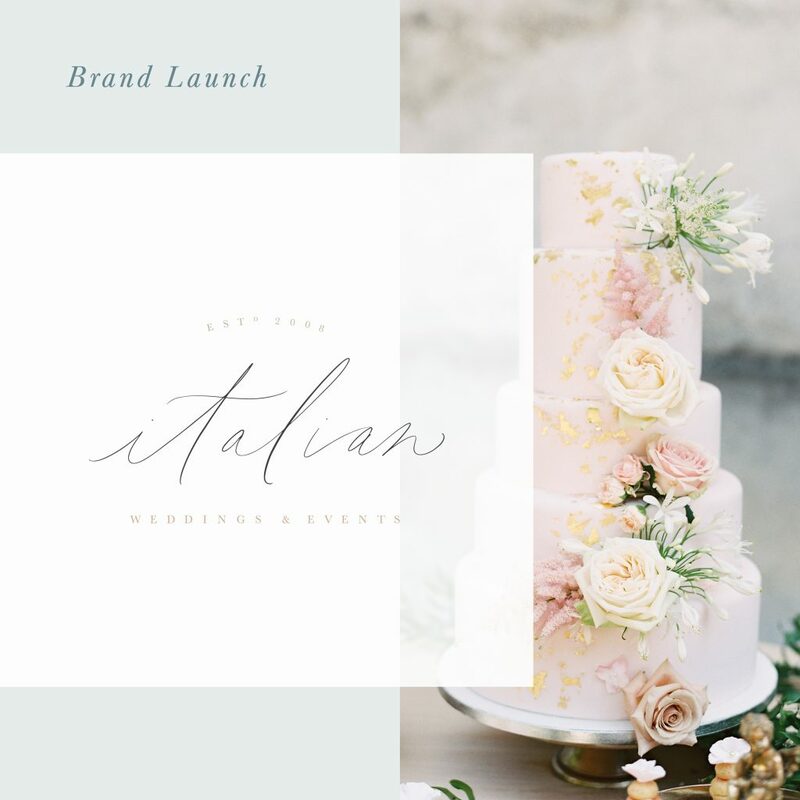 Welcome to Italian Weddings and Events, a luxurious destination event planning company with a passion for the soft elegance of Italy. As we matured into the hard work we put into our company the decision to update the brand presence was an important choice as we wanted an identity that represented the romantic and timeless culture of Italy – the heart and essence behind what we do. 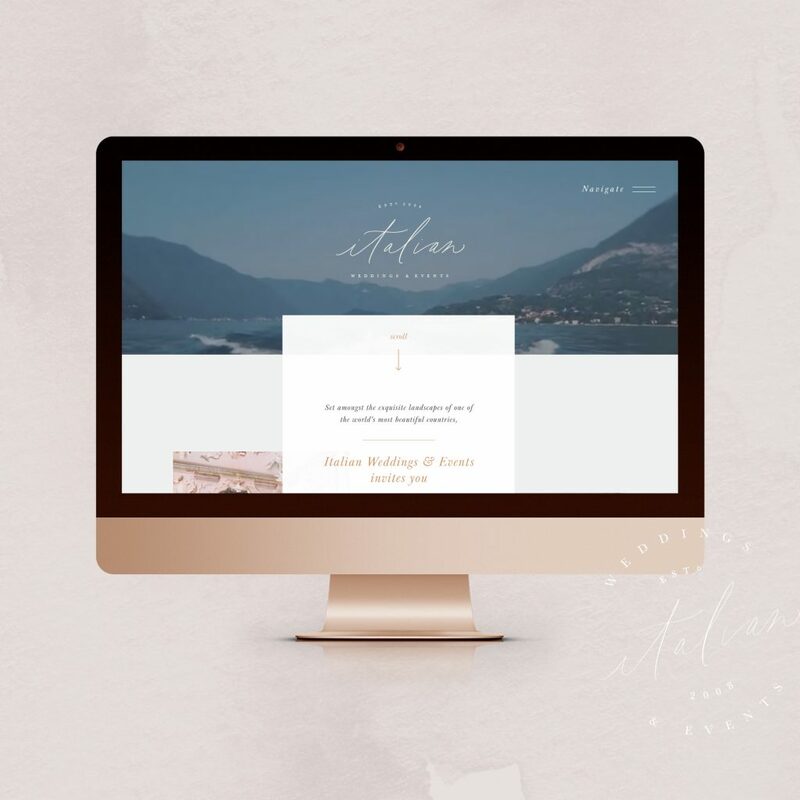 After reflecting on our brand with a detailed questionnaire and a perfectly crafted brand strategy from Ashley & Malone, we knew the core of what we created for our clients were beautiful, authentic Italian experiences. 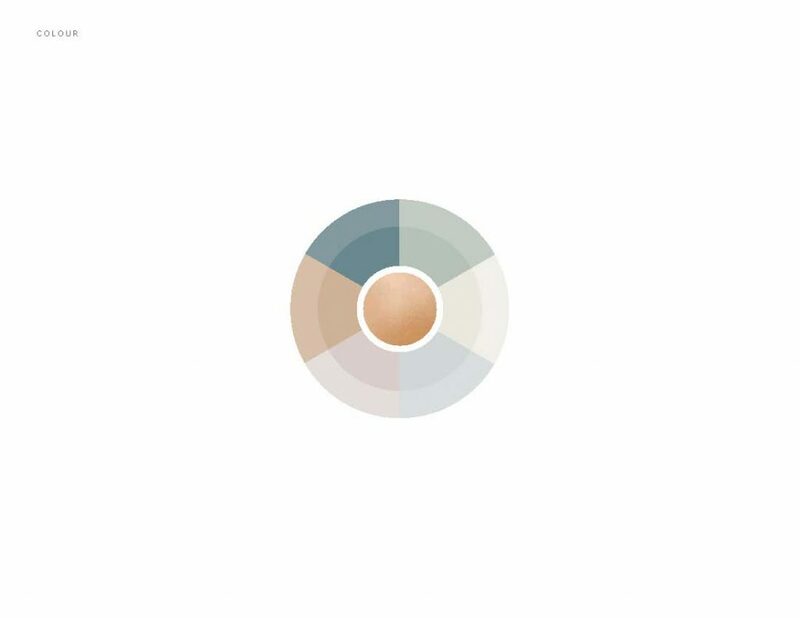 To create a presence that not only reflected the culture of Italy but the type of work we create, our colour palette and logo was updated. Our past colours reflected colder tones with cool greys, stark whites and dark blacks. We wanted to represent the soft romance of Italy and brought in seafoam and blues, nudes and a touch of copper to capture the heritage and landscapes of this captivating country. To add to this theme our logo has a timeless sense of sophistication, with a beautifully scripted typeface by Plume Calligraphy paired with a classic serif. We wanted to create a feeling that represented all of the handcrafted artisans Italy will provide for your perfect wedding backdrop. 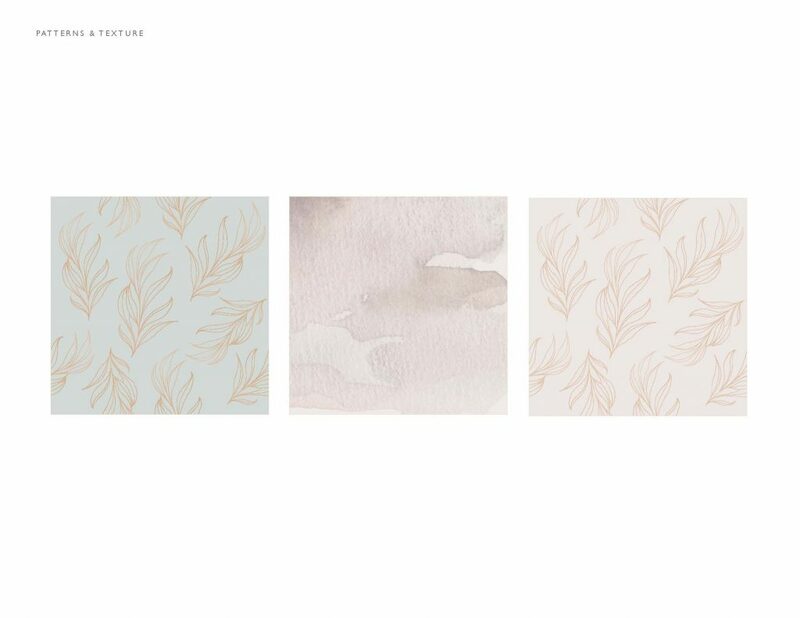 To add elements of texture and to create a connection with our brand, hand-drawn leaf patterns and watercolour washes are included to showcase what we feel represents Italian culture authentically. From the moment you lay eyes on our company we want you to connect with the heritage right from your office desk. Let us inspire you to create one of the most magical days of your life, in one of the most stunning places on earth. Our brand update was not only for us but for our current and future clients. On top of the update, our website went through a major refresh, creating a streamlined and elegant experience when landing on our homepage. We know you don’t have the time to browse for hours on end to find a trusted wedding planning company that fits your aesthetic. We wanted to create a presence that you can trust from the moment you find us to the moment you leave for your honeymoon with a perfectly detailed portfolio that reflects all of the work we have done and all of the work we can do. Browse our pages and let us spark your ideas on how we can help you create a completely personalized, luxurious Italian experience for you and your guests!